As you can imagine, managing a custom kitchen showroom, we see a lot of really interesting design concepts, both real and imagined. While I always have my favorites, there are products that from time to time make me stop and stare in amazement. 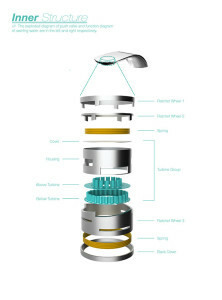 This faucet concept from designer Simin Qiu, a design student in London’s Royal College of Art is one such example. 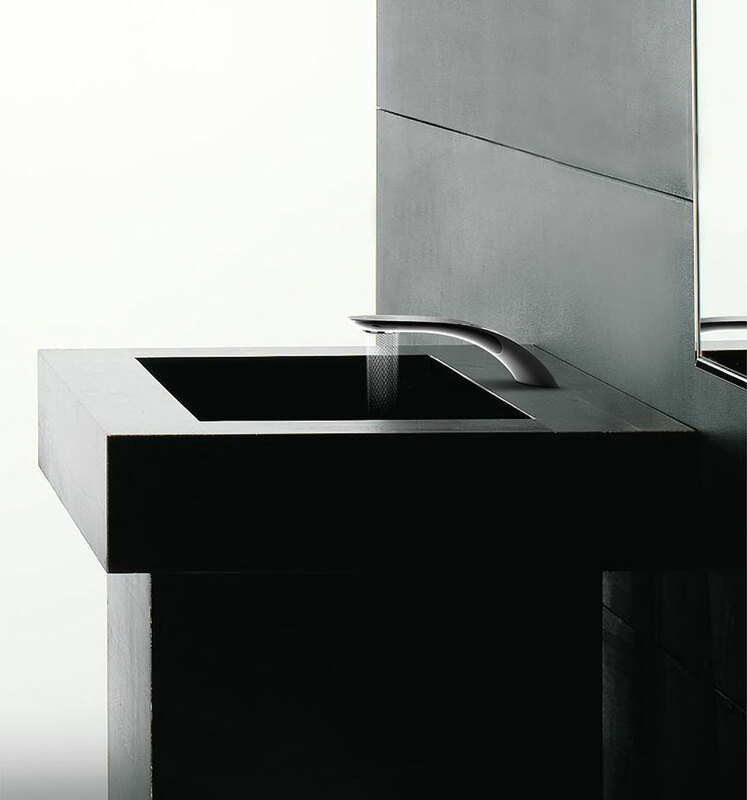 Faucets have for a long time been a fascination of mine. 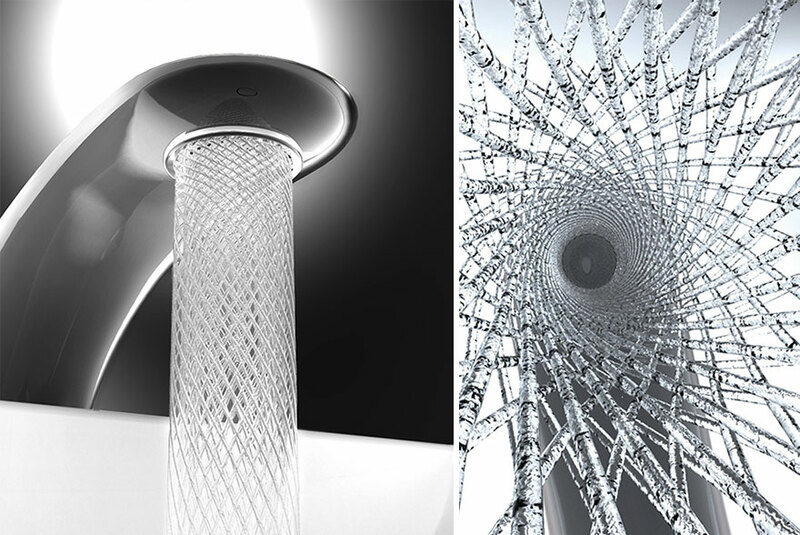 There are some real world examples that are really absolutely stunning works of art, but I have never in my years of experience seen someone apply design (to this degree) to the water coming out of the faucet. 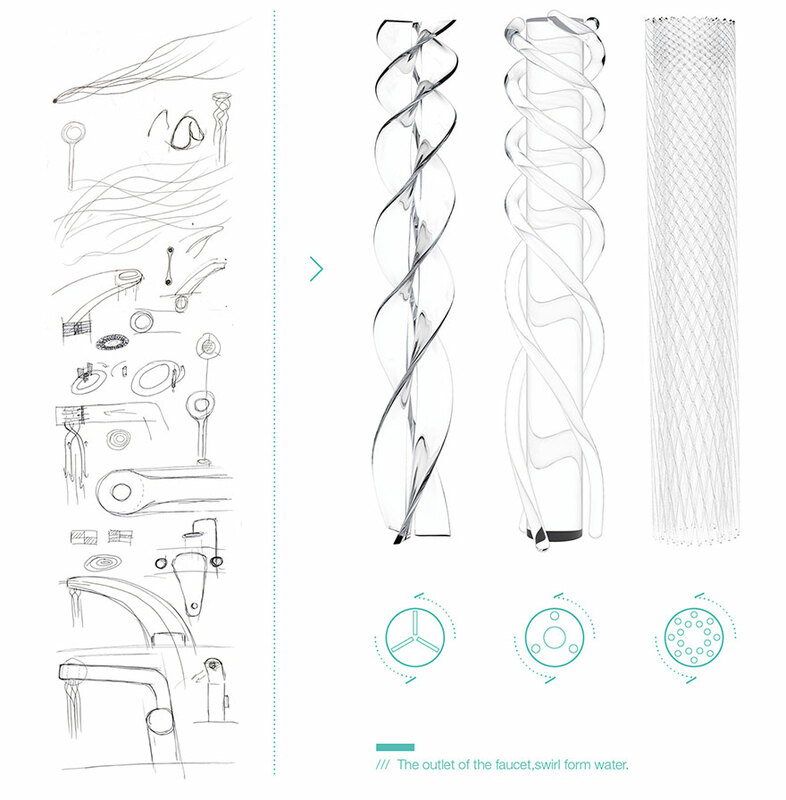 The complexity of the faucet makes me wonder about its commercial viability and possible maintenance issues, but still, looking at these renderings from Simin, “wow” is the only word that comes to mind. Beyond the beauty, the faucet is also meant as a tool for conservation, as you already know, a subject very important to me. 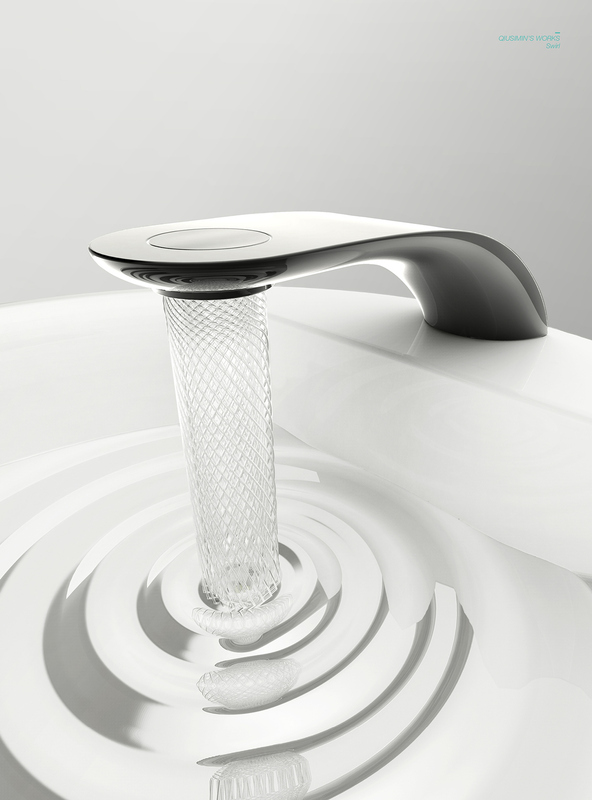 Less water and a beautiful design — who could ask more more? Let’s just hope you or your guests won’t leave the water running just to stare in amazement at the water come out of the faucet — that would destroy any idea of conservation that was supposed to happen. Needless to say, we’ll be keeping an eye on Simin’s work and will surely let you know if this product ever sees the light of day and is commercially available. We are certainly hoping so.